There are at least four kinds of DC Fast Charging systems in existence, CHAdeMO, ComboCharging System, Tesla Supercharger and at least Chinese system. In the U.S. and Europe the first three are competing for market share dominance, since the SAE standards process failed to develop a DC fast charging standard that was acceptable to all the electric car manufacturers. An obvious product that’s theoretically needed are adapter cord sets to convert from one fast charging protocol to another. A fast charging adapter would be similar to the adapter cords international travelers carry while traveling abroad. Different countries chose different electrical outlets, and an adapter cord lets you use a USA laptop or shaver in other countries. Similarly a CHAdeMO-to-CCS or other fast charging adapter could be useful for electric car owners. At the time this is written (Sept 2015) the strongest need is for owners of cars with ComboCharging System (CCS) ports to use a CHAdeMO charging station. Cars with CCS ports are still at an early stage of adoption, with a sales rate low enough that there aren&apos;t as many CCS-compatible charging stations. Now that it is May 2017, the CCS car sales rate is increasing, as are the number of CCS-compatible charging stations. Over time the CCS stations may become the most popular fast charging protocol, or perhaps it will be the Tesla Supercharger standard. Since Nissan (and Kia) are the only companies supporting CHAdeMO, its days are probably numbered. Bottom line is the current situation, with three fast charging standards (four if you count China), is ripe with a need for fast charging adapter cords. The big question is whether when will the demand be high enough to warrant building such a product, and exactly which adapters are the greatest need. With an app like PlugShare, one can readily see that fewer CCS charging station deployments exist than CHAdeMO stations. Therefore a CHAdeMO-to-CCS adapter would help owners of those cars, at this time. But the number of CCS charging stations is growing rapidly, and therefore in a few years CCS-to-CHAdeMO adapters may be required to support Nissan Leaf owners. However, the rapid growth of Tesla&apos;s vehicle and charging station offering may swamp the market share of all other fast charging systems. 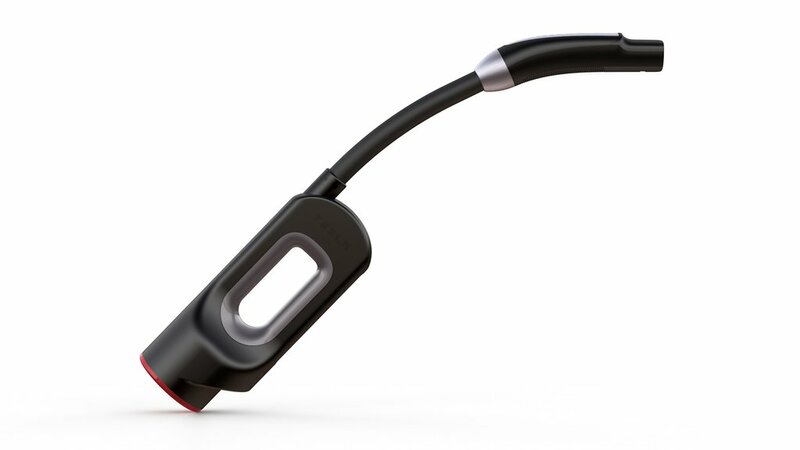 There is exactly one DC Fast Charging adapter on the market – the CHAdeMO adapter for the Tesla Model S and Model X. It allows owners of those cars to use CHAdeMO charging stations. Presumably Tesla Motors will create a CCS adapter if/when market conditions make that a good idea. The price is $450 for the unit alone, or $1,900 if your Model S also needs to be enabled for fast charging support. That price is interesting because of the cost for similar hardware on other cars. Adding a CCS port to a Chevy Bolt EV runs $750, for example. CHAdeMO port on a Nissan LEAF has a similar price - in the LEAF S, fast charging is an option package including a 6 kW charger, and with the package running over $1700 the CHAdeMO port could cost $750 or so. How can Tesla be making money on this adapter? If the Tesla Supercharger network becomes the predominant fast charging network, it will seem ultra-attractive for owners of CCS or CHAdeMO cars to access that network. The problem with that idea is it would require cooperation with Tesla Motors. Tesla CEO Elon Musk as said multiple times they&apos;re open to allowing non-Tesla cars to use Supercharger stations. Tesla Motors has made their patents available for free use without warranty. Unlike what many think, that does not mean Tesla has "open sourced" their patents. A patent is not enough information to implement a compatible device, instead patents describe the process or method in more general terms than a specific implementation. Further, the Tesla Supercharger handshaking includes retrieving the identity of the given car, meaning that Tesla could detect a non-approved car and prevent it from using a Supercharger station. When Musk says they&apos;re open to allowing access by non-Tesla cars, the statement is always followed by the conditions. The automaker has to make a deal with Tesla Motors, and pony up some money to help pay for the Supercharger network. Interface — computer control to interact with the appropriate charging protocol on input and output. Every DC Fast charging system has two pins for the DC power supply. These would pass straight through from input socket to output connector, and with a contactor in the middle to disconnect when needed. Now that we’ve shown it’s feasible, and what’s required, can we estimate the product cost? QuickChargePower has developed a product, JdeMo, that adds a CHAdeMO interface to the Gen2 Toyota RAV4 EV. This product has a CHAdeMO inlet for the input side, and on the output side wires directly to the RAV4 internal wiring. The cost is $2,499 and it appears there’s an installation fee in addition. QCP is a small operation, and the total possible market for the JdeMo is under 2,500 units because that’s the total number of Gen2 RAV4 EV’s which were ever built. Why is that price so much more than the Tesla CHAdeMO adapter? I’d suggest sales volume. QCP is selling the bare CHAdeMO inlet by itself for $799, which is a lot more than Tesla’s price for the whole adapter. The only way this makes sense is if Tesla Motors gets a hefty discount on parts by buying in larger quantity than can QCP. In any case, it suggests the price for a CHAdeMO-to-CCS (or vice versa) adapter will depend on the size of the company making the product, and the possible sales volume. A large company, like a charging station maker, could surely come in at a lower price by buying parts in higher volume. Therefore the likely cost is somewhere between $450 and $2,499. Some other electric cars also lack fast charging, and could use an adapter product like the JdeMo. Off the top of my head these include the Fiat 500e, Ford Focus Electric, Mercedez-Benz B-Class, and Smart ED. Most of those cars sell at a very low volume, though, making it financially unattractive to develop a fast charging adapter. Will you need an adapter? A trend is forming where charging networks deploy charging stations supporting both CHAdeMO and CCS standards. This way owners of either kind of car can arrive at a fast charging station and use the cord appropriate to their car. The more dual protocol charging stations are installed, the less need there will be for adapters. An adapter is required if an electric car owner can only find the wrong sort of fast charging station in their region. For example, a CCS car owner whose region only has CHAdeMO fast charging stations or vice versa. But if most fast charging stations support both CHAdeMO and CCS, both CHAdeMO and CCS car owners will be equally able to fast charge. A practical example exists between the California-Oregon border and the Sacramento area where (in early 2017) there is a string of 25 kiloWatt CCS-only stations, with no CHAdeMO stations at all. In the due course of time a market for fast charging adapters may develop depending on the sales rate of the different systems. There is a market-share competition Between CHAdeMO and CCS. These are the two systems blessed by standards organizations, supported by multiple charging station manufacturers, and manufactured by multiple automakers. It seems likely that CCS will win out over CHAdeMO over time, because more automakers have voiced support for CCS. But, the sales rate of CCS is just now beginning to surpass CHAdeMO cars, meaning there are still lots of CHAdeMO cars on the road. But, the Tesla Model S and Model X sales rate surpass all the rest, and later in the year Tesla will add the Model 3 to its line-up. Going by market share trends we can predict that in a few years fast charging will settle down to two dominant systems: Tesla Supercharger and CCS. Whether the Supercharger will be dominant depends on whether the automakers follow through on promises to start selling large numbers of electric cars.